Our customers and their needs are our top priority. The skin’s youth and its wellbeing are our passions. Our products are internationally recognized because of a cutting edge scientific objectivation. A CSR policy together with a clean chemistry in order to provide our customers with low environmental impact products. For many years, our teams of researchers, operators, managers and administrators are committed to create and to exploit cosmetic, pharmaceutical and nutraceuticals actives that fit to our customer needs. The control of environment and security if the foundation of our sustainable development. The ISO9001:2015 and BPF EFfCi certifications are proofs of our scientific rigor and craftsmanship. This approach is part of a policy that applies to all services and in a background where our company’s independence and authenticity are tokens of durability for our customers. All collaborators (Directors and managers, CSR teams, QSE teams, Operators and technicians, Technical and administrative teams) are naturally bound to play their part in all aspect of our activity. To rethink our travels and to use ecological vehicles (or alternative transportations). To sort our waste internally in order to reduce our common industrial waste (CIW). To protect all personal data in our systems for customers, employees, suppliers and any other interested party. To alert our suppliers to money laundry, corruption and child labour. To mobilize and to raise funds for charity (No Finish Line Monaco). The board has integrated these stakes in the management of the Company’s activities. 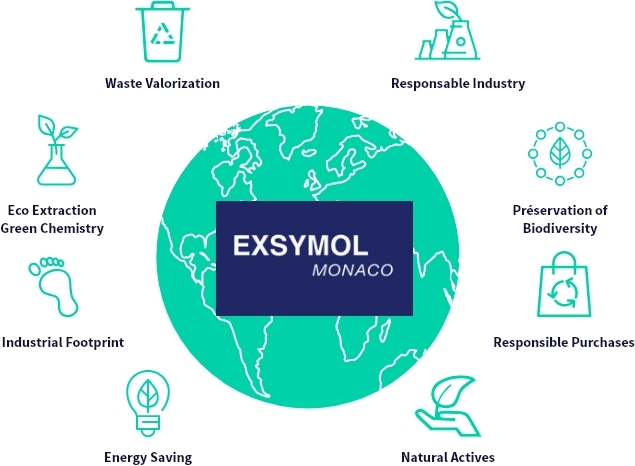 The associated targets will allow us to better answer to our customer needs, to meet the Principality of Monaco’s will to reach carbon neutrality by 2050, and to provide our employees with the best working conditions.